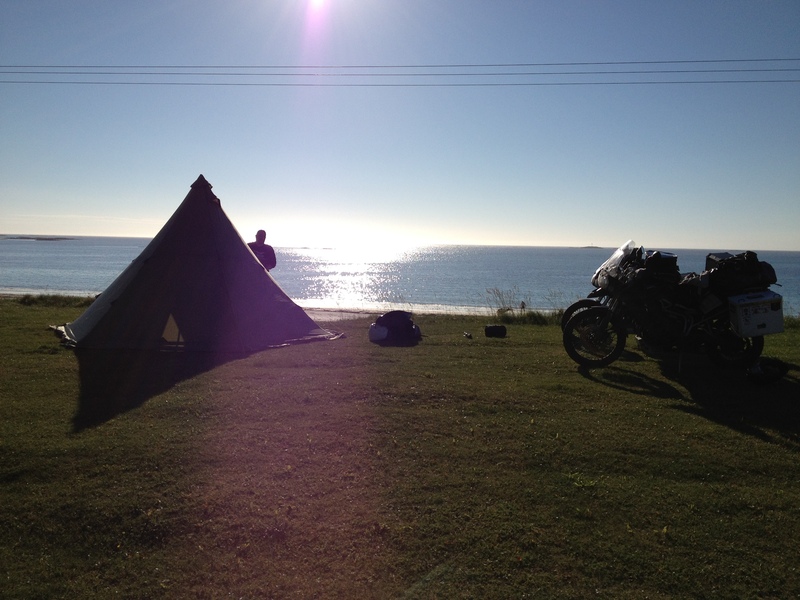 On the west side of Andøya there is a campsite where you can pitch your tent close to the sea. The view from your tent opening is nothing short of spectacular! Get to ride the Troll’s Ladder, Trollstigen, and feel the water from the waterfalls in your face as you and your bike climb up the steep, windy road. Stop on the Atlantic Road, get out your fishing rod, and catch today’s supper. Stop at Andøya to pitch your tent by the ocean and see the midnight sun kiss the water while you enjoy a wee dram. But how do you get there? Here you will find route suggestions from myself and fellow riders who are happy to share their best motorcycle routes in Norway. All are in Google Map format, so that they are easy to plot and share. If you have a great route your fellow riders should know of – please share! Remember: This is by riders, for riders, and strictly non-commercial. Thank you, and enjoy the planning! we are couple from Sweden and are planning for a trip to Norway this summer on motorcycle. What is the best route would you recommend for a 10-15 days trip? thanks ! Hi, och välkommen till Nårje! It all depends on what you want to see. There are multiple suggestions at http://www.ridenorway.com. Start there, and get back to me if you want more specifics. Fjords? Mountains? Nordkapp? Everything? I am thinking about going to Norway this summer, three weeks in august. I am planning to take the ferry from Denmark to Oslo both ways. I want to see the north cape, i have no interest in cities or musea (not on a motorcycle holiday anyway.) So nature, scenery, motorcycle roads etc. Do you have or know where i can get GPX tracks (or comparable files) for this? Complete round trip from and to Oslo would be best. Hi, not a GPX, but I do have a Google maps route which is easy to follow. Mail me, and I’ll send it over. Could you email me any google maps (very similar to Mathys request above) as well, please? I will be arriving in Aug as well from the UK and am very keen on capturing as much as I can in the 10 odd days (not interested in cities). I’m looking to explore Norway heading over from the UK through May/June and camping along the way. I would be grateful of any guidance on the best route and also any key points or guidance you can offer. Hi, the best routes, hot-spots, what-to-sees etc are freely available at my website, so please browse it to find your preferences.